First Nation child welfare services will see nearly $1.4 billion in additional funding over the next five years according to the 2018 federal budget released Tuesday in Ottawa. Exactly how it will be allocated is not clear, as the budget is thin on details, but it’s geared towards on-reserve services. An immediate influx of $70 million will be available until the end of April, followed by annual increases between $265-295 million. It will mean the total amount Ottawa funds for on-reserve child welfare services will jump from nearly $890 million in the 2017-2018 fiscal year to about $1.12 billion allocated in 2022. The budget mentions this is part of the government’s goal of meeting demands from the Canadian Human Rights Tribunal that ruled in 2016 that the feds have chronically underfunded First Nations child welfare services. The investment in child welfare is part of nearly $5 billion in new funding from the Trudeau government in the 2018 budget. New money is being put into several areas, including drinking water, housing and health. Self-determination programs alone will net more than $600 million over the next five years. That includes $51.4 million in the next two years for the federal government to support “Indigenous participation” at the so-called self-determination discussion tables. Prime Minister Justin Trudeau announced a new legal framework for Indigenous people about two weeks ago that is supposed to lead to self-determination and the “full and meaningful” implementation of treaties and agreements. The minister of Crown-Indigenous Relations will lead “national engagement activities” throughout the spring to determine the contents of the new framework. The government hopes to have it introduced later this year and implemented by October 2019. “This budget invests in new tools to help nations rebuild, and to accelerate self-determination and self-government based on recognition of Indigenous rights, so that our shared future is one where Indigenous peoples are in control of their own destiny, making their own decisions about their future,” said Morneau. There is new money for housing but a closer look at the budget shows the money announced in Tuesday’s budget is mostly from the previous year. Of the $1.5 billion to be spent over the next 10 years, divided up among First Nation, Inuit and Metis, all but $300 million of that comes from the 2017 budget as part of the $4 billion allocated for infrastructure. It’s just now finally being allocated. Housing critics have long said tens of billions are needed to fix the housing crisis in Indigenous communities across the country. One interesting aspect of the budget is the “distinctions-based approach” for Inuit and Metis, as well as First Nations. Through negotiations with Metis National Council, the Trudeau government has allocated $516 million over 10 years, with almost all of that going to housing. The remaining is $10 million for post-secondary education in 2018 and another $6 million for developing a health strategy. Through discussions with Inuit Tapiriit Kanatami, the federal government is funding $27. 5 million over five years to support ITK’s Inuit-specific approach to eradicate tuberculosis. As well, another $82 million for creating a permanent Inuit Health Survey. There is also a distinctions-based approach when it comes to employment with the rebranding of the former Aboriginal Skills and Employment Training Program. Nearly $2 billion will be invested in the new Indigenous Skills and Employment Training Program over the next five years. Nearly $440 million of that is new funding. 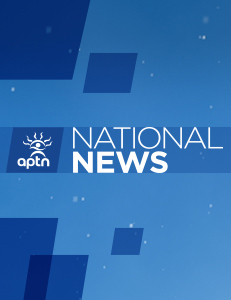 Metis National Council will receive $325 million, Inuit get $161 million, urban groups (non-status) will get $213 million as part of the program. The rest goes to First Nations. There also appears to be significant investments in First Nations health. Nearly $1.5 billion will be divided among areas, such as nursing stations, addiction programs and expanding “successful models” of self-determination of health services. The budget also earmarks an additional $172 million over the next three years for drinking water. That’s in addition to $1.8 billion announced in the 2016 budget for drinking water. The new funding is supposed to speed up construction and renovate existing water systems. “We have already lifted 52 long-term boil water advisories and are on track to have all others eliminated by March 2021,” said Morneau. There was no new funding for First Nations education from kindergarten to Grade 12.